For Nicole Wershoven '17, being able to explore career paths in the medical field and to complete her college studies surrounded by Vermont's Green Mountains are what influenced her to attend the University. "The ability to go skiing on the weekends, be close to awesome hiking destinations in the fall, and enjoy Lake Bomoseen in the summer are activities I'm sure I would not have done at any other place," she said. 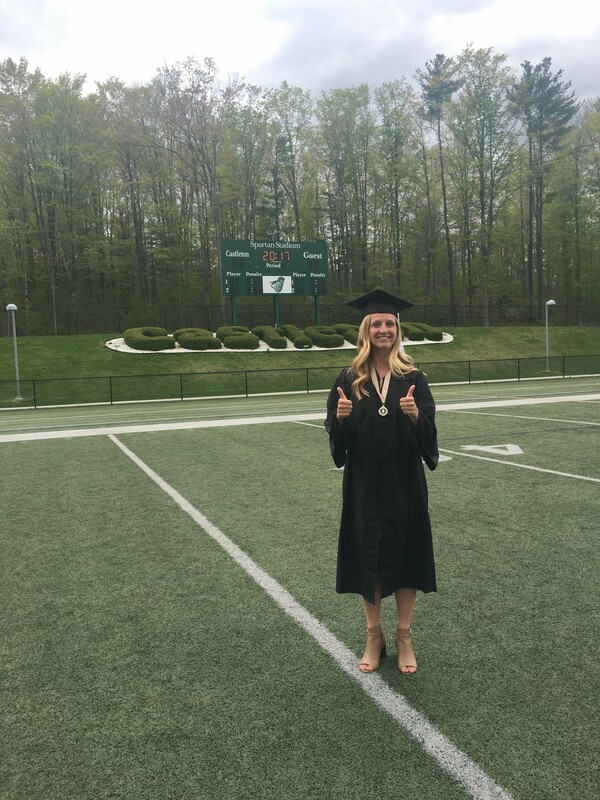 Wershoven, a native of Whitingham, Vermont, is currently a medical student at Larner College of Medicine, a path she wouldn't have pursued if it wasn't for the experiences she had at Castleton. As a Biology major, she was able to gain experience conducting independent research, starting a pre-med club, and attending science conferences, which helped to shape her abilities in critical thinking while helping her to build connections. Connections with Castleton's Science faculty have helped Wershoven get to where she is today. "All the professors that I had at Castleton were extremely helpful and wanted to see each student succeed. Specifically, the professors in the Science department helped advise me and provide me with opportunities to challenge my education and learn about different career paths," she said.